Toppers is proud to support our local community. Pizza Nights are a way for Toppers to partner with local groups, and we will help raise money for your non-profit organization. 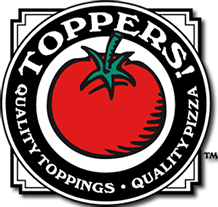 What: Toppers Pizza will donate back 20% of pre-tax sales generated by your group! Just follow these steps to help raise funds! Bring the whole family to Toppers during the Pizza Night for a great pizza! Mention or show the flyer to the cashier when placing the order (or tell operator for phone orders). No coupons or other discounts will be honored in conjunction with the fundraiser. No flyers may be handed out in or around the restaurant during the event. 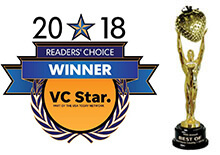 When you are ready to book, call the office at (805) 201-1500. The Toppers location you want to hold your fundraiser. 1st and 2nd date choices that you know work on your group’s calendar. Name of the group exactly as you want it to appear on the flyer. Mailing address for the check. Gift Cards. A Great Pizza Experience! Available at All Topper’s Locations.